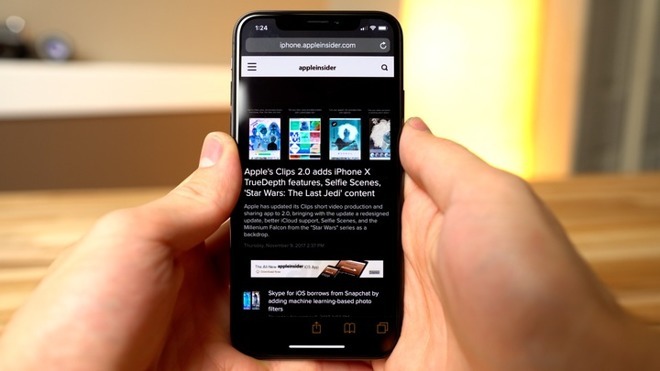 After publicizing ways to reduce power consumption on the iPhone X OLED display, AppleInsider has begun to put the methods to the test to get a feel for exactly how much power can be saved. The answer: a lot. Earlier this week, AppleInsider published a tip detailing how to get more battery life out of your iPhone X with a trio of methods: a true black wallpaper, smart invert colors, and grayscale. These methods are known to reduce power consumption on all OLED screens, because of the nature of the display technology, and anecdotally in day to day use we found that it did, in fact, let us get more uptime out of the iPhone X. But we decided to dig deeper and get more concrete answers regarding just how much power savings can be had from these methods. The most impressive test we conducted was using Apple's Safari browser with the Accessibility feature smart invert colors. For our test, we set the iPhone X to maximum brightness with smart invert colors enabled, and left the browser viewing Reddit. That means that in this extreme comparison, using smart invert colors on the iPhone X while viewing content that is traditionally bright and white, saved a whopping 58 percent of battery. We also did three hours of testing with the true black wallpaper Apple builds into iOS 11 for iPhone X. With this, the iPhone home screen background is completely black, while icons remain normal. For this test, smart invert colors was not enabled and we did not use grayscale. After three hours with maximum brightness and a black wallpaper, the iPhone X battery fell from 100 percent to 77 percent. The same test was conducted with the default, colorful wallpaper on the iPhone X, and we found that battery fell from 100 percent to 61 percent. Switching to the true black wallpaper on iPhone X, in an extreme max-brightness test case, saved 16 percent in battery consumption. Users could push things even further, though at greater cost to appearance and performance, by using the grayscale option built into accessibility in iOS 11. These color-specific changes only work on the iPhone X, because its OLED display consumes more battery when showing certain colors. Tests show that pure white consumes the most, followed by blue, while green consumes the least. With this in mind, users could take other drastic measures like adjusting the tone of the display. Night Shift mode lets users reduce the amount of blue on the screen, for example. 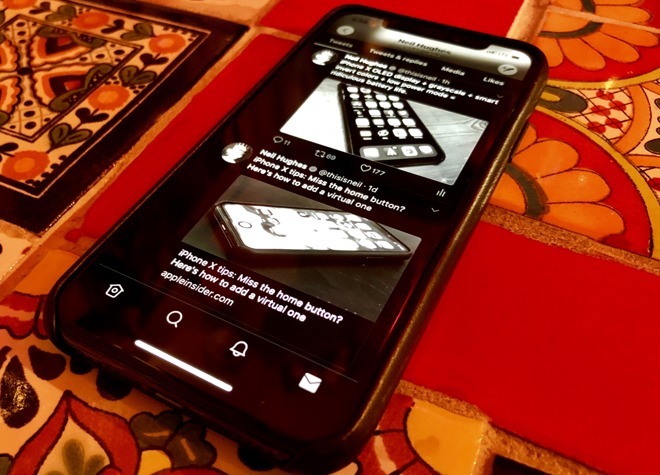 And the iOS display accommodation settings let users reduce the intensity of bright colors, which should also make for a difference on an OLED display. iPhones released prior to the iPhone X, which feature LCD screens, cannot take advantage of these settings. But all iPhones, including the iPhone X, will see significant power savings by reducing the brightness of the display. Apple also builds a Low Power Mode into iOS that can be turned on from Settings, or from the Control Center in iOS 11.